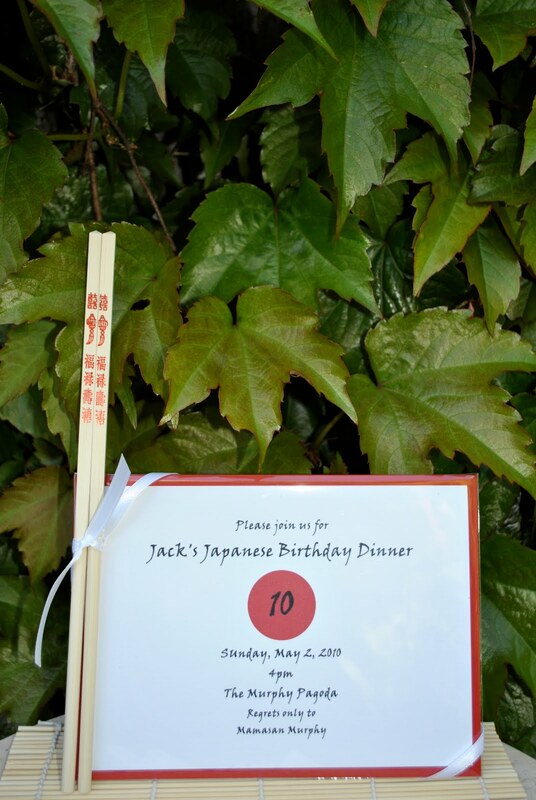 plans for Jack's Japanese Birthday Dinner are well underway. So funny,next to Paris my son is all about Asian everything. Draws pagodas, loves chopsticks, etc....And for a "non" party year, Jack sure will be having fun. Love the chopsticks on the invite! So fun!!! So cute!!! Any ideas for May Day tomorrow?? Looks like a GREAT party! I sure do wish I could be there to help celebrate. Big Happy Birthday to the Jack-Man !